When I rearrange pics in a for sale ad and click save - they aren’t showing up like that in the ad. They are showing up in random order that I would guess is the order that they were uploaded. I’ve tried different browsers and different devices and no worky. I have the same problem, or sometimes it looks fine in the preview and then when I look at the actual ad it's totally backwards. It's not as bad as it used to be but many times I still have problems either in the market or the forum section. my edit doesn't really have text. I have small pictures blocks that can be moved around but no actual text. When you take pictures at different times and on different days, the camera assigns a name to them, and someway somehow, it knows which pic was taken first and second and etc. I think pinside is loading them in numerical order by which pic was taken first. Rename your pictures from whatever they were assigned to the numerical order you want them displayed. Rename the first pic #1. Then the second pic #2. #1 will to sitting to the the left #2. #3 will be to the right of #2. 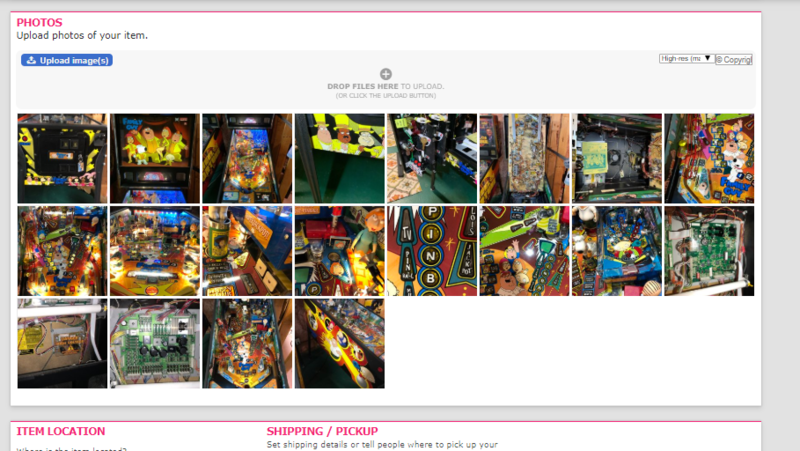 I can rearrange the pics in my "edit your add" page, and then they don’t save that way. I've tried adding a pic or deleting 1 or changing text in the add to see if the code is looking for a bigger change before it actually updates and just doesn't refresh. Nothing works. It’s the size of the image and how quickly it can download it. I believe. Ok, I'll try to elaborate on how it is designed to work. 4- Not ordering images will result in images getting sorted by their filename. - Hit "send post" and your images should be auto-inserted into your post in the order you specified. 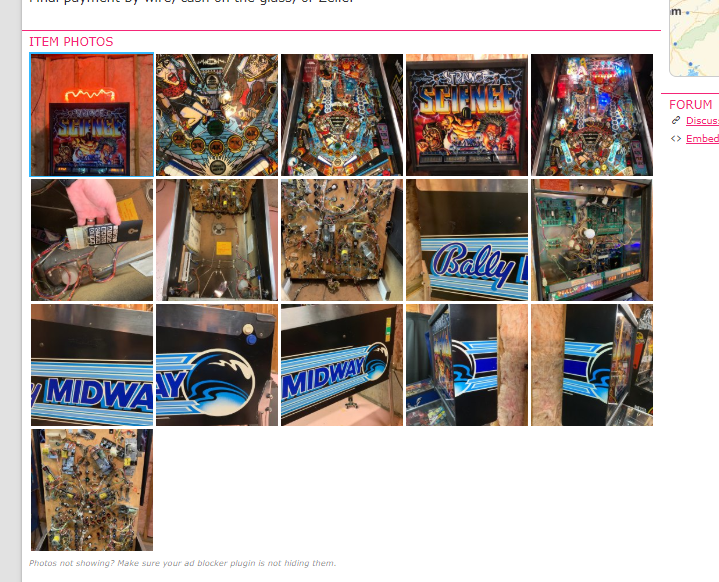 Note (by editing the post you just made) how the Pinside system has automatically inserted image attachment code(s) at the bottom of your post, in the order you specified by dragging, or by the default (filename sorted). You can move these codes around in your post text, as you wish. - Or, before hitting "send post", you can insert uploaded images into the post yourself, using the + button when mousing over an image. In that case the system will no longer auto-insert an attachment code for that image (since you already did that). Any images you do not insert into the post text yourself will automatically get added to your post in the specified sort order (or by the image filename). 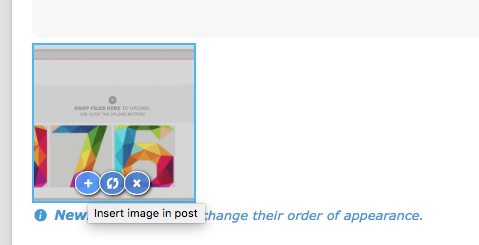 Once a post has images attached to it, you can no longer re-order via drag drop. Any new uploads to that post will have to be inserted manually in the order you desire (or the system will do it for you, based on filename). It's all fairly simple, but kind of hard to explain. I hope the above does the trick. That's how it used to work. But a few months ago I added some code that automatically re-orders uploads based on their filename. And then 2 weeks ago I added some code that allows you to reorder uploads via drag and drop. the pinside gnomes are at it again. I just got all 3 of my adds to put photos in the order I asked for.